The Curious Wavefunction: Falsification and chemistry: What’s the rub? My last post on the role and limitations of falsification leads to a point I have made before: the fact that falsification is far less important for chemists than it is for, say, physicists or mathematicians. 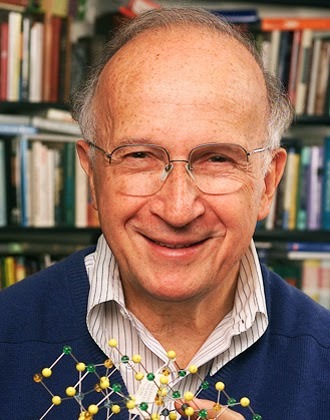 My take on the relative unimportance of falsification comes mainly from Roald Hoffmann who is as much of a philosopher of chemistry (and a poet) as a professional Nobel Prize winning chemist. He has an excellent essay called “What would philosophy of science look like if chemists built it“? in his collection of essays from last year (which I reviewed for Nature Chemistry here). Hoffmann’s basic take on chemistry and the philosophy of science goes to the heart of what distinguishes chemistry from other sciences. Chemistry as it is practiced consists of two major activities – analysis and synthesis. The analysis part wherein you break down a substance into its constituent atoms and deduce their bonding, charge and spatial disposition is akin to the reductionist ethos of physics where you make sense of matter by taking it apart. The synthesis part of chemistry is highly creative and consists of building up complex molecules from simple counterparts. It is an activity that not only makes chemistry conceptually unique among the sciences but which has also contributed to the inestimable utility of the science in creating the material world around us. It is as much an art as a science, and one which makes chemistry very close to architecture as a practical pursuit. How is this creative act of synthesizing a novel substance exactly making and testing a hypothesis or theory? Now one may argue that even a synthesis holds the feet of certain theories of bonding (molecular orbital theory for instance) to the fire. It is certainly true that there is always some implicit assumption, some background knowledge, that underlines the synthesis of any molecule; the construction of the molecule would fail in fact if electrons did not flow in such and such a manner and if bonds did not form in such and such a manner, so of course you are testing elementary assumptions and theories about chemical bonding whenever you make any molecule. But why not go further then and say that you are testing the atomic hypothesis whenever you are conducting pretty much any experiment in chemistry, physics or biology? Or if you want to reach out even further and tread into philosophy, you could even say that you are testing the basic assumption behind science that natural laws dictate the behavior of material entities. Clearly this definition of “falsification” is so general and so all-encompassing as to greatly vitiate the utility of the concept; try asking a synthetic chemist next time if the main purpose of his synthesis is to test or falsify molecular orbital theory. Drawing on the analogy between chemistry and architecture, it would be like saying that every time an architect is designing a new shape for a building she is hypothesizing and testing the law of gravity. Well, yes, and no. In fact this debate again very much reminds me of the fondness for reductionism that physicists often bring to a debate about “higher order” disciplines like chemistry, economics or psychology. Molecules, people and societies are made out of atoms, they will say, which means that “atoms explain people”. I think most physicists themselves will agree as to the futility of such far-out explanations. The fact is that a concept is useful only if it has a direct, non-trivial relationship to the phenomenon which it purports to explain. Theories in philosophy, just like reductionist theories in physics, are far more relevant on a certain level than on others. Synthesis is a creative activity, and while every synthesis implicitly and trivially tries to falsify some deep-seated fundamental law, the science and art of synthesis as a whole does not explicitly and non-trivially try to falsify any particular theory. That does not mean that falsification is absent or untrue, it just means that it’s rather irrelevant. I agree. It's the same way with computer science and engineering.